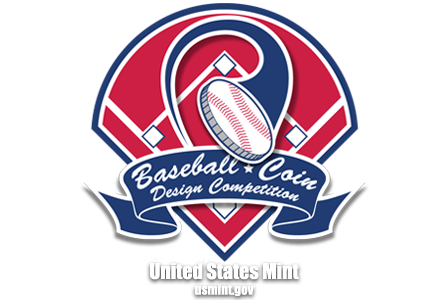 Liberty is a Grand Slam | Baseball Coin Design Competition: Batter up! Pitch your coin design today. Swinging powerfully across home plate, a batter hits a Grand Slam to lead the team to victory. Symbolically, the player has just hit the baseball depicted on the coin's reverse. Pennants are seen waving atop a ballpark. The LIBERTY inscription is depicted as team-style script. Additional inscriptions are IN GOD WE TRUST and 2014. Out of all of them, this probably would be a tough choice between this one and the outfielder (2nd row center). My design wasn't chosen as a semi-finalist, and this one makes me ok with that. I can picture this coin. 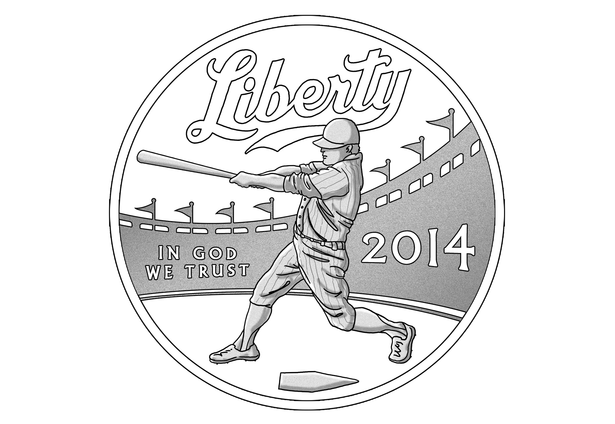 Love the coin design, since you titled it liberty is a grand slam, I kind of wish you had a place for it on the coin... maybe on the wall of the outfield? This is the only option that integrates the word LIBERTY into the design in a way thats relevant to the subject. Love it!